A completely ordinary high school student who loves idle chatter with his friends and Umaibous, a Japanese snack. 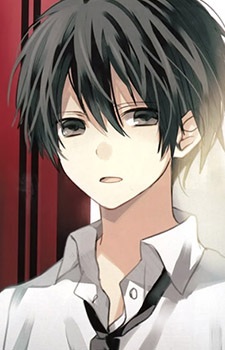 One day, he somehow suddenly antagonizes Aya Otonashi—even though he has never met her before. She threatens to "break" him. After killing Kamiuchi inside Kingdom Royale, he started displaying psychotic behavior, going as far as "killing" Shindou Iroha just to save Maria, who was supposedly kidnapped on Daiya's orders. Kazuki's box allows him to crush other boxes. He received this power from Maria and he believes that he is Maria's knight. After being incorporated into Aya's "Flawed Bliss," Kazuki is forced to repeat a blissful day 400,000 times before he is able to escape and destroy Aya and the "Flawed Bliss," thereby freeing Maria from the shadow of her "imperfect sister," Aya. In the process, his mind breaks from the sheer amount of time spent in solitude, scattering his memories and rendering him unable to perform basic functions such as speaking and even conscious thought for a time.